Today, buyers have become smart. They have started buying things online because they don’t want to waste their precious time searching for the right product in a market. Gone are the days when potential buyers had to visit markets to buy their favorite handbags, clothes, accessories or even mobile phones. With the advent of technology, everything is easily available with just the click of a mouse. However, this revolution has started a tough competition among online stores all over the world. It is due to the reason if you are planning to launch your online store, you should be aware of the demands and needs of your audience. Not only this, you should also keep an eye on competitors to offer better quality and services to your potential customers. To make it happen, you need to have an appealing OpenCart template for your store. OpenCart is one of the most popular e-commerce platforms that is open source. To help you launch a fantastic online store, I have narrowed down some stunning OpenCart templates. These templates are free, responsive, SEO friendly and easy to use. Without further waiting, let’s have a close look at each one of them. If your new year’s resolution is to start an online store with the minimal budget, Bolshop Dark Theme is just a perfect solution. It is absolutely free that means you can spend the money on various other important tasks. The template offers astonishing features and one of the interesting things is its simplicity. No matter what type of online store you wish to start, this template can be used to fulfill all your customers’ requirements. This template can turn out to be an amazing choice for online stores selling sports merchandizes. The color combination of black, green and white gives it an incredible sporty touch. Practically, an online buyer desperately looks for a convenient buying process. And, if you are unable to provide him with smooth transaction process, chances are that you might lose a potential lead. To ignore such a gigantic problem, using this template would be a smart decision. If you are looking for a template that can offer the facility of multiple layouts, then I would recommend YooResponsive for this purpose. Although it is free of cost, but its magnificent features will make you stun. It is simple, stylish and decent as far as the design is the concern. Moreover, if you have plans to optimize your store for search engines, YooResponsive allows you to install SEO plugins to perform best practices for ranking keywords. If you are a fashion freak who likes to showcase some captivating range of dresses, then make a selection of Ancart. The remarkable design and ravishing color combination makes this template entirely different and an ultimate choice for online clothing shops. Its header, navigation, side menu, footer everything has been designinged keeping online buyers in mind. The template has been last modified in November 2015, which makes it even stronger and compatible to fulfill all the necessary requirements. Yoocolor could be a phenomenal choice for online stores related to entertainment, games, movies and technologies. It has a responsive layout that can help your audience browse the website through smartphones, tablets, and iPads. An interesting thing about this template is it offers all the features a premium OpenCart template can provide. So, why not avail this chance to save a huge amount of money? Displaying each and every product in a proper manner is quite a daunting task because not all OpenCart templates can offer this facility. However, Kitchen Essentials has caught my attention. I have had a chance to explore this beautiful template and to be honest I was amazed literally. Its freemium version is enough to quench your customer's thirst. The template has the ability to showcase product description clearly which is important for potential buyers to make a decision. Another astounding feature that impressed me is the live chat option. Being an online service provider, it is essential for you to stay active all the time to resolve customers’ issues. And, this template can definitely help you avail this opportunity. Diva Handbags is a fully customizable template with its sleek design and unlimited navigation options. Everything from Header menu and side bars to its footer, the template looks a perfect fit for garment stores and stores that particularly deal in handbags. If you are not a tech savvy individual, but you have a desire to build an attracting store, Diva Handbags can just be a sensible selection. Its drag and drop options will make the entire working effective and convenient for you. If simplicity is what captivates you and you want to inherit that same element to your online store, use zMaxcart. It is totally different from other online stores that offer enormous options to visitors. Although it is a good approach to provide customers with unlimited features, but sometimes they get distracted. To avoid such a problem, this template can turn out to be an amazing option. Simplissimo works with all major browsers such as Chrome, Firefox, and Opera. It means that whatever the browser your customer uses, he can access your online store easily. You will get numerous OpenCart templates that might satisfy you with their design and animation. What makes Simplissimo different is its SEO-friendly feature. You can optimize your online store for search engines without any kind of tension after installing this incredible template. 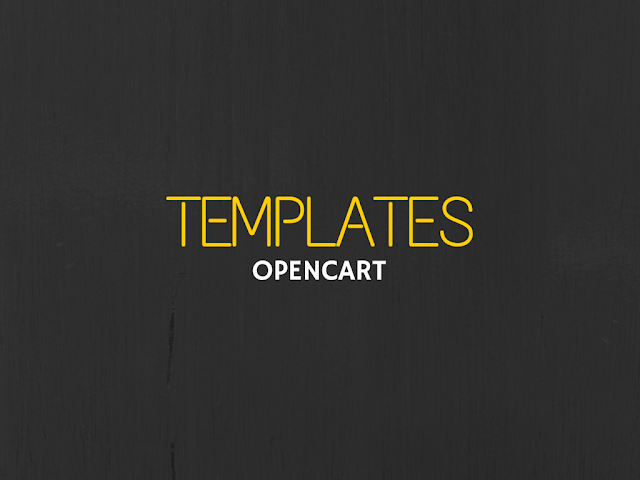 Simplissimo template is applicable on all latest versions of OpenCart and it is free. So, go grab it now to avail the most wonderful ecommerce experience. 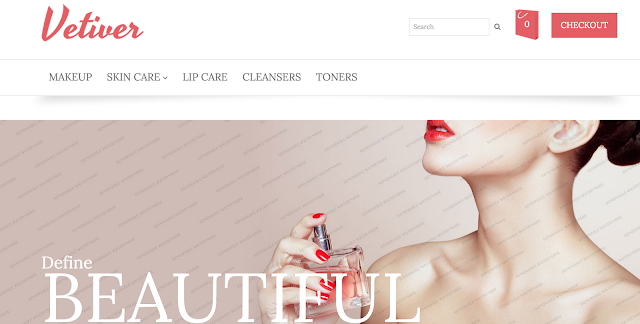 If you are looking for a clean, elegant, and professional template, without further waiting for download Cosmetic Store. Its ravishing animation will definitely delight your customers. Whether you are starting a bookstore, clothing store, electronic store or any type of store, this template will serve you well. I have personally used this template for one of my startups and it didn’t disappoint me and my customers at any stage. Therefore, I would recommend you to use Cosmetic Store for better results. Eileen Burton is a small town girl who has an endless passion in blogging about topics related to healthcare, and more. When not blogging, she helps college students. So, if you want to pay someone to do your assignment, she’s your girl. She also loves to read a lot especially the novels of her favorite author Dan Brown.